After a week away for Thanksgiving week, I welcomed the simplicity of this week’s recipe for French Fridays with Dorie. 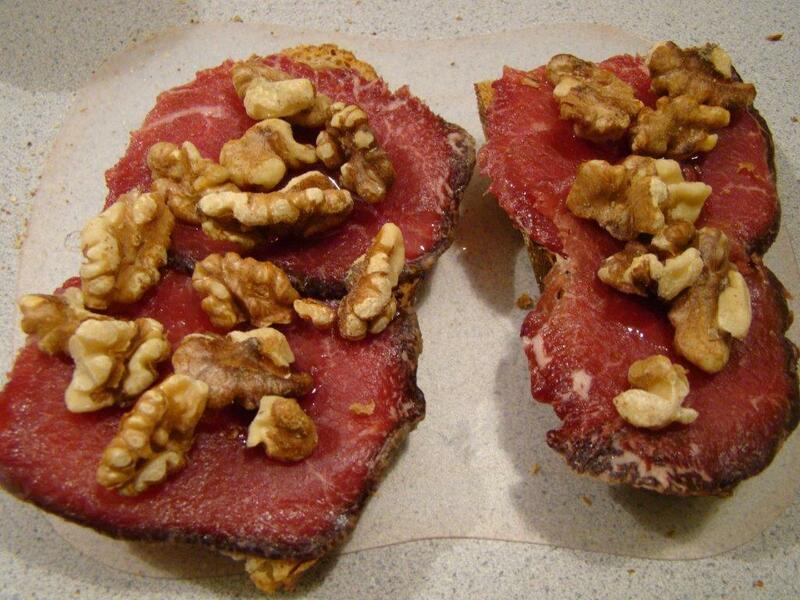 Our group has already made several varieties of tartines. I have usually served them as open-faced sandwiches for lunch, though in Around My French Table, Dorie usually suggests slicing them crosswise to serve as nibbles with an aperitif. Finally, I chose that route myself. As with last week’s recipe for Red Kuri Soup, sourcing was the major challenge for this otherwise easy appetizer. 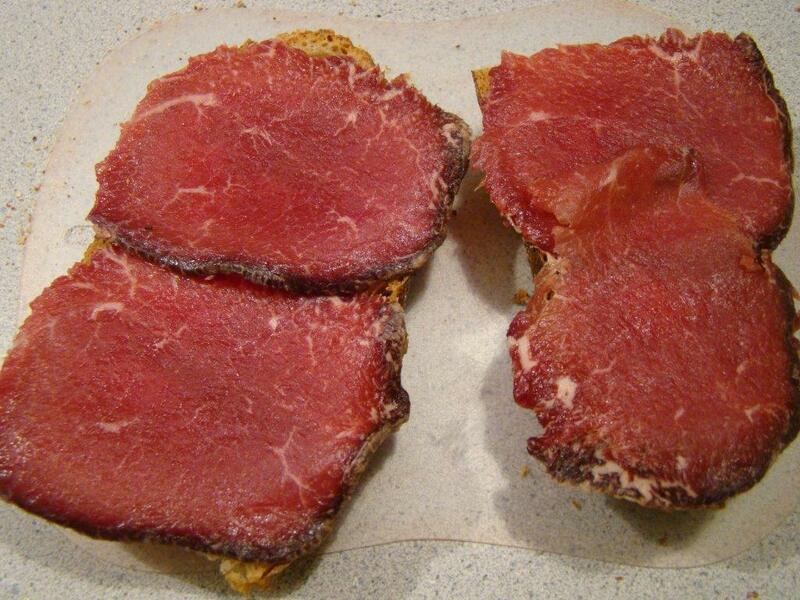 The recipe calls for air-dried beef, such as viande des Grisons or bresaola. A few years ago, Howard made something similar (carne salada) based on a recipe from Patricia Wells’ book Salad As a Meal. Alas, for this recipe, we hadn’t planned ahead. During my food shopping outings all week, I kept my eye out for this type of meat. I saw lots of prosciutto, but no bresaola. I finally decided to give up my pursuit and purchased some prosciutto. Then, on my way home, I passed the local Italian specialty shop in town (Tutto Italiano). It’s where I usually by prosciutto and fresh mozzarella when that’s the object of my shopping. On a whim, I went in and asked. Success! The owner said bresaola was expensive ($23 a pound). However, I didn’t need much, and it really wasn’t much more than the imported prosciutto I buy there. I asked for 4 slices, enough to cover two slices of bread, and it was only $3.22. This is so easy! 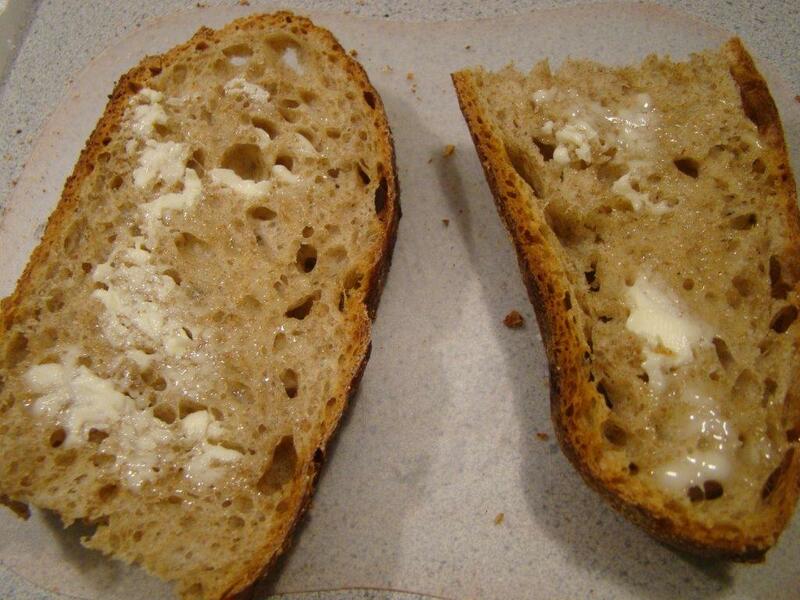 First you slice and toast some rustic country bread. 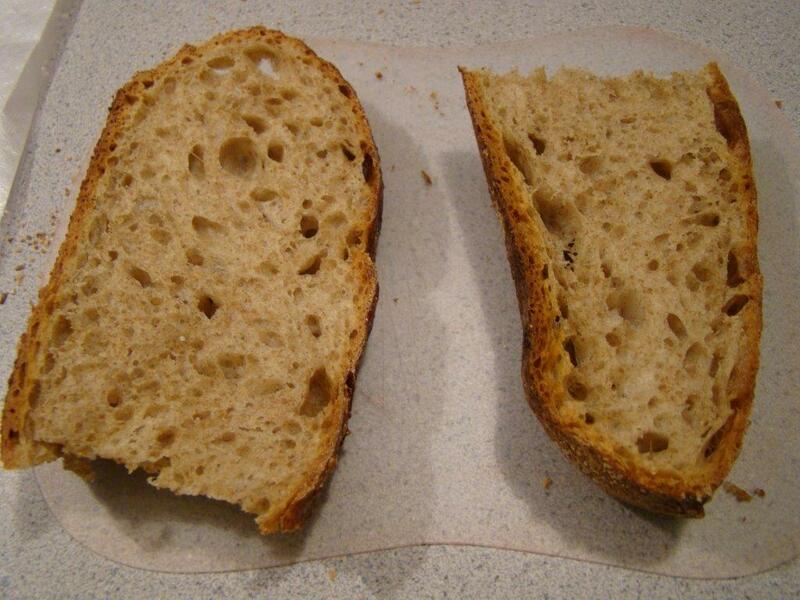 In anticipation of the tartines, I baked a loaf of whole wheat no-knead bread. Next, slather it with butter. 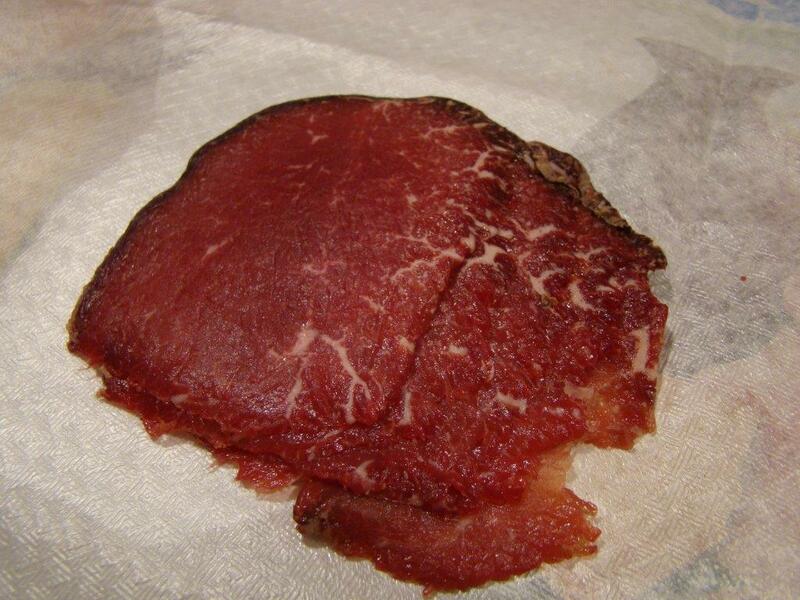 Cover with a layer of bresaola. 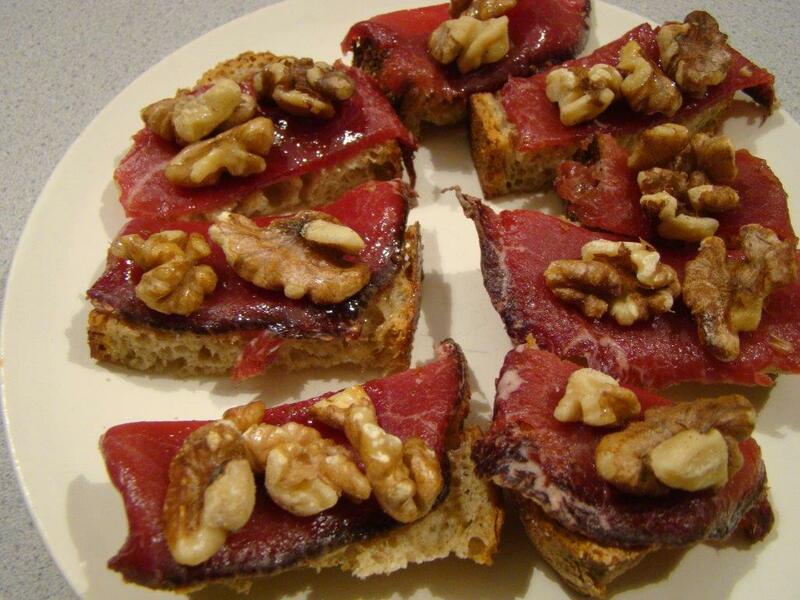 Drizzle with walnut oil and sprinkle with toasted walnuts. Cut into batons and serve with a glass of wine. Bon Appetit! We both loved it! We enjoyed the tartines before a weeknight meal, but this one is company-worthy. Now that I know that the main ingredient can be conveniently found just a mile away from my house, I expect this appetizer to be repeated. To see what the other Doristas cooked up, check out their links here. 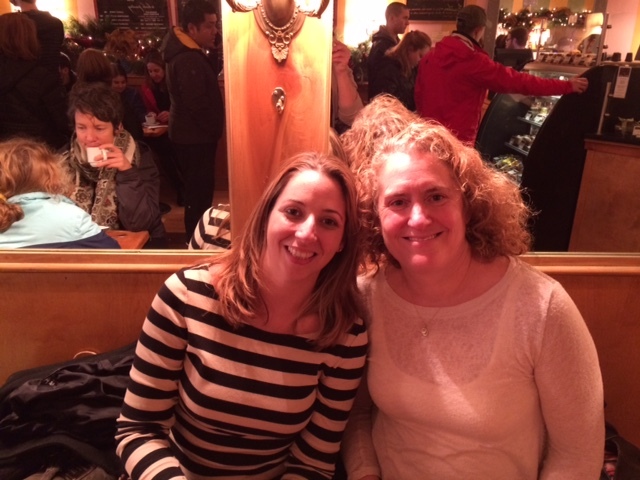 Last Saturday, I enjoyed an afternoon with Adriana of Great Food 360, starting with lunch and then moving on to the best hot chocolate in New England. We met last year in Seattle, so it was a treat to have another chance to get together. I look forward to the next time!